Your morning begins with a panoramic tour of the Pest side of the city. 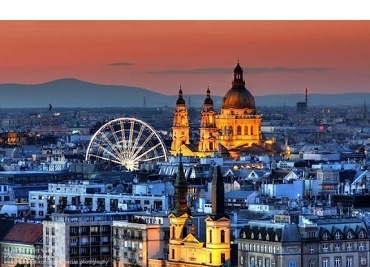 Journey along Andrássy Avenue and see the 19th- and 20th-century mansions and Chain Bridge. Stop in Heroes’ Square to learn more about Hungarian history, then cross the Danube to Buda’s Castle District. Visit Matthias Church and enjoy brilliant views of the Danube and the beautiful view from Fishermen’s Bastion. Enjoy a midafternoon Viennese coffee workshop, complete with apple strudel. Today we tour Vienna. See some of the city’s baroque architecture, including the world-famous Opera House, St. Stephan’s Cathedral and Hofburg Palace. Return to your ship for lunch. The rest of the day is yours to further explore. If you like, you can take an optional excursion behind the scenes at the Spanish Riding School to see its famed Lipizzaner stallions. This evening, you might enjoy an optional classical concert or celebrate the bottling of this year’s wine vintage among the locals at a high-spirited Heurigen dinner. After breakfast, we set off for Göttweig, a Benedictine abbey that is famous for its splendid ceiling fresco in the imperial stairwell, one of the largest in the world. Alternately, you may instead choose to explore by bicycle, enjoying a ride along a riverside bike path considered one of Europe’s most scenic. 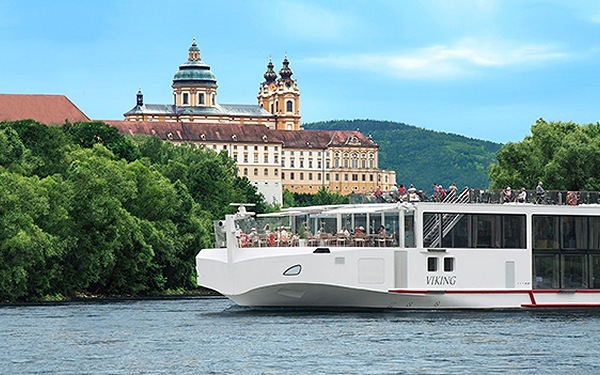 Afterward, taste some local Austrian specialties during lunch on board, taking in views of attractive towns and castle ruins along the way. Take a guided walk along the town’s narrow streets through Old Town. See the impressive baroque St. Stephen’s Cathedral with its ornate interior. 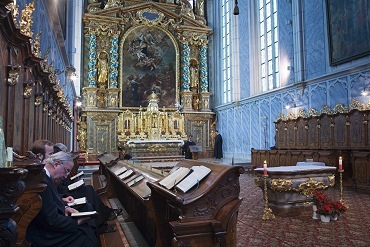 Inside, you are treated to a special concert played on the 17,000-pipe organ, considered Europe’s largest church organ. Enjoy lunch aboard your ship, and return to the city for further exploration on your own before departing. Or, you may choose a full-day optional excursion to explore glorious Salzburg; the setting for the film “The Sound of Music”, and enjoy lunch at Austria’s oldest restaurant. After breakfast, meet your local guide for a walking tour through the scenic town of Regensburg, considered one of Europe’s best-preserved medieval cities. Take time to stroll the streets, shop or visit Germany’s oldest restaurant, the Alte Würstküche. Alternately, you may choose a full-day optional excursion to see the highlights of the grand city of Munich. 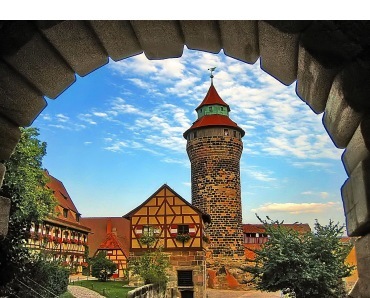 Disembark in Roth to take a shuttle directly to Nuremberg and begin exploring; or, stay on board to enjoy cruising the legendary Danube canal and arrive in Nuremberg, Bavaria’s second largest city. After lunch, take a city tour that features Zeppelin Field, the former Nazi parade grounds, and the Palace of Justice, the site of the Nuremberg Trials. Then visit medieval Nuremberg Castle. Your tour comes to a close with a walk from the imperial palace grounds, past the Albrecht Dürer House and on to the Main Market Square with its elaborate Gothic fountain.